Tired of spending on scanner repair and replacement? It's time to get rugged. | Taylor Data Systems, Inc. Tired of spending on scanner repair and replacement? It’s time to get rugged. If you’re like countless other organizations, you’re probably working hard to improve processes every day. 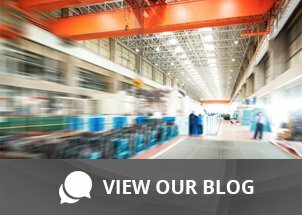 For industrial environments, it can get tricky. There’s a lot to manage – safety concerns, productivity, overhead, compliance issues, and so on. In an effort to stay ahead of the competition and to keep customers satisfied, every minute counts. The first step is automating manual processes; instituting barcode data collection automation will yield immediate benefits in all forms – speed up processes, reduce data entry errors and control cost to name a few. The quality of your operation is crucial to maintaining a competitive position and keeping your employees productive and motivated. The second step is selecting devices appropriate for the environment. In a fast-paced workplace, reliability and durability are two key characteristics you want in your data collection equipment. 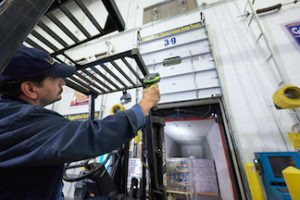 For a barcode scanner, you’ll want to stick to an industrial model designed for the rigors of a manufacturing or distribution warehouse environment. Zebra recently introduced a full line of super rugged industrial scanners that are worth paying attention to. From design, to performance to manageability, they’ve assembled all the main ingredients that make up a real workhorse device. Looking for a cordless device to further mobilize your workforce? The Zebra 3600 Series offers cordless models as well, utilizing the Bluetooth 4.0 Low Energy technology for high-speed wireless communications and impressive energy savings. Oh, and their PowerPrecision+ battery offers 50 percent more battery power capacity than other in-class scanners. Is the Zebra 3600 right for you? Check out this nifty scanner selector tool from Zebra to help you narrow down the right device, or just contact us to get the scoop on what would work best in your environment.